I have been sick the last few days and still suffering with a sore throat and ringing in my ear. My daughter immediately became my living in nurse. Tootlebug (my nickname for her) has kept the kitchen and house clean while keeping me hydrated and on my meds. She is an incredible nurse! She shifted her job responsibility by getting me out of bed to make me “feel better”! She started off with entertaining me with singing songs and reenacting scenes from Burlesque. Watching her do the “Wagon Wheel Watusi” was hilarious. Tootlebug was trying her best to do the dance scenes, oh my. I love her for trying to make me feel better. 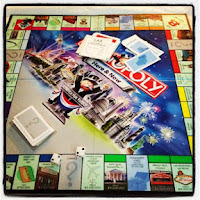 Next, she suggested that we play Monopoly. 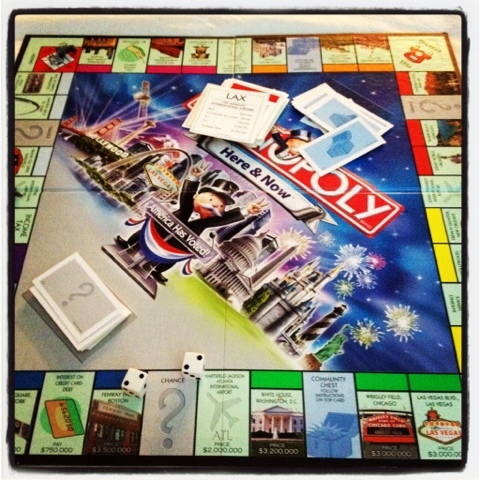 How can an eleven year old beat me even after conquering Times Square and Fenway Park; Boardwalk and Park Place in the original game! I didn’t want to play again because it takes too long to try to beat her in another game. I know I am pitiful. Yes Tootlebug, I admitted that you won! 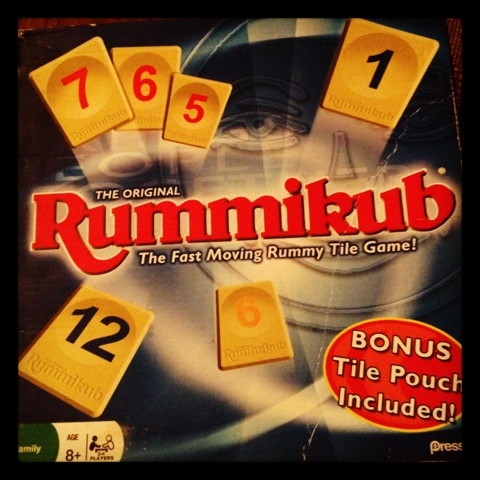 We moved on to play Rummikub. Yippee, I won the first game! I had only one tile left and she managed to find places to put her five tiles! Therefore yes, she pulled it off and won the second game. Come on really, it has to be the sickness! So, we had to break the tie. The third game we both started off playing real serious. We got down to our last couple of tiles and I pulled it off! Yesss, I won! I know you are saying that I should try not to beat my little girl, but you have to understand that she is VERY competitive! Ever since my ex-boyfriend taught her how to play, she has been the master at the game. With that being said, she had to go down, especially after beating me in Monopoly! Sick or not! After playing three games of Rummikub, she found a deck of cards and recommended that we play “Go Fish”. During the “Go Fish” game, she convinced me to watch “Bridezillas”. Please note, she is controlling the television and what we watch! This particular episode was very interesting. One of the brides taught me a new word, Blingtastic! She wanted her dress and everything to be “blingtastic”. The other bride had a bridesmaid that was a guy. The guy wanted to look better than the bride, by standing out wearing a bridal dress too! Isn’t it supposed to be all about the Bride? And finally, the third bride had a pizza and punch rehearsal dinner in a hotel lobby. Yes, I did see the pizza boxes, SMH. This show had to be on the same lines as Basketball Wives, full of drama and lots of mess! In times like this, most people would want a male companion to rub their feet, fix soup, keep them hydrated or medicated, but I have a suitable fill in! Tootlebug managed to get me out of bed, laugh and try her best to make me feel like myself even though I feel like crap. She is doing a fantastic job as being my live in nurse. The funny part is; all she wants in return is a bag of Gummy Bears! Aww, I have the best eleven year old nurse in the world!